July 26, 2015. I pay attention when the same message arrives from multiple angles boom – boom – boom. 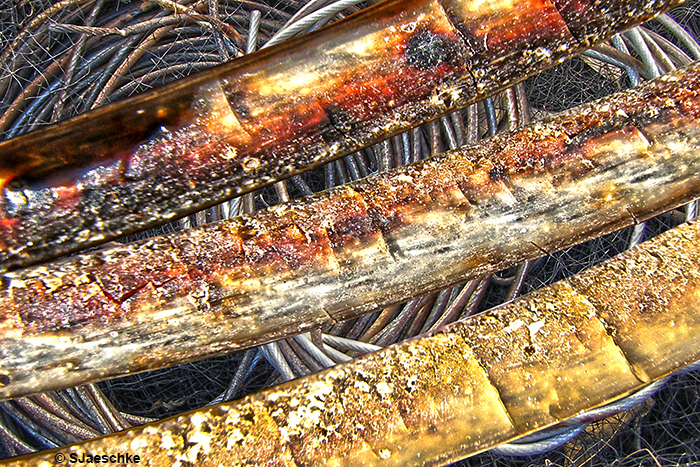 My third encounter within a week encouraging macro photography sent me prowling through my photo archives. I love peering at tiny things through my camera lens, so those archives are loaded. One particular set of images grabbed hold. 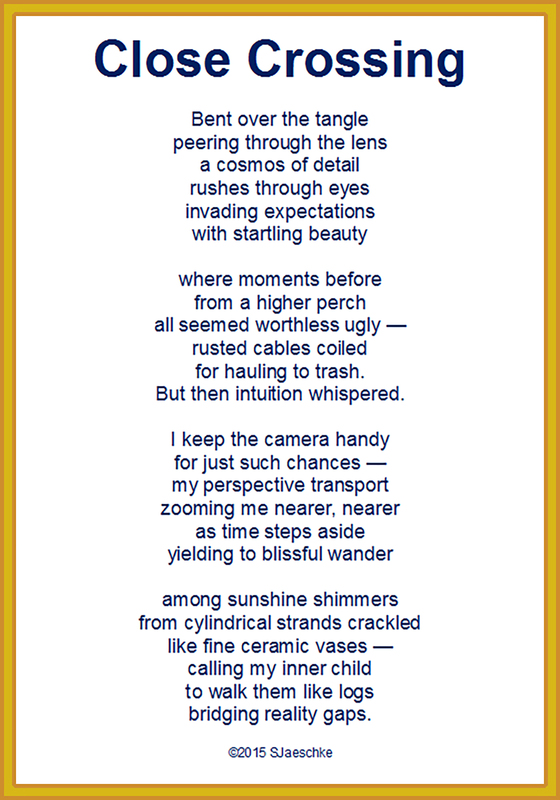 As I let mind and heart return to the scene, a poem bubbled up (as they often do, unsolicited). 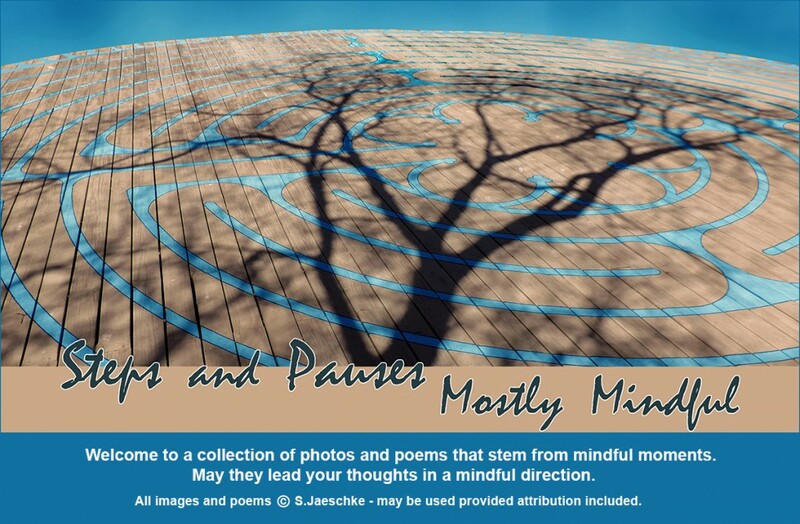 None of the individual images were quite right for the poem, so voila – collage. Whether through camera lens or simply kneeling to peer, I pass along the encouragement to look closely at the mundane and tiny. Beauty lurks in surprising places! July 22, 2015. My partner and I have just completed a walkway that keeps reminding me of a poem I wrote back in 2011 when I was working on a similar walkway, using his favorite hoe to slice into the hard-packed ground and create a recess that could be filled with decomposed granite and limestone slabs. 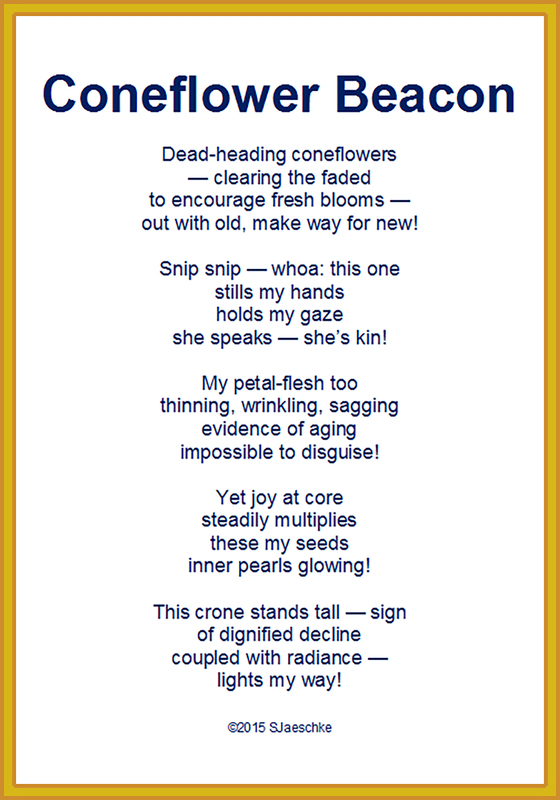 This poem was first published in the anthology di-verse-city 2012, © Austin Poets International, Inc. The diamond hoe, a marvelous tool for weeding, was relatively new to us in 2011. 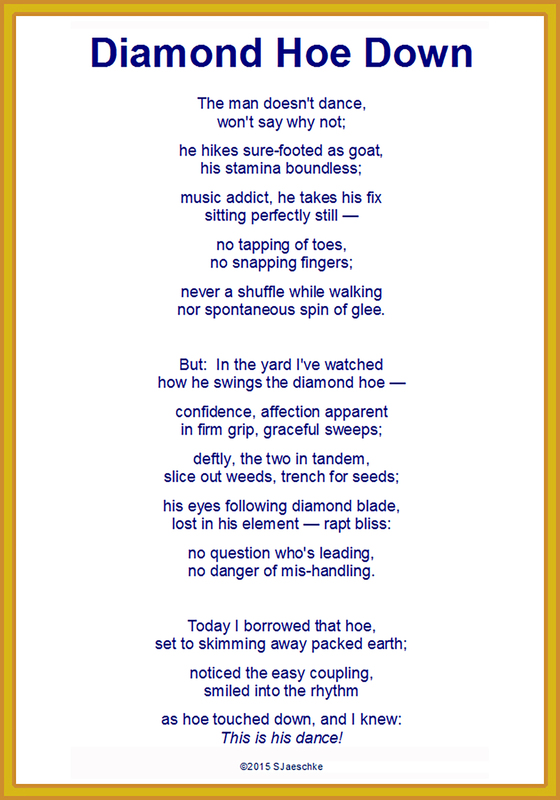 It was his hoe, his constant companion in the yard, and I was reluctant to use it for fear I’d chip a point. He assured me it was the right tool for the job at hand (he was right) – and using it proved eye-opening in unexpected ways. 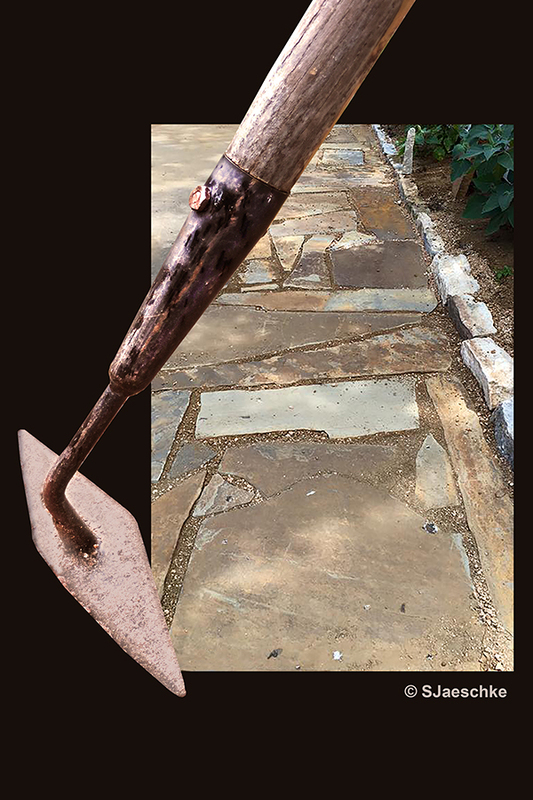 The image is a collage of the trusty hoe (unchipped through the digging of much rocky terrain) and the new walkway. Stepping on the walkway, I am mindful of his skill at placing the stones, our joint endurance at digging, hauling, and then filling without cross words. The work was hard. The walkway is a beautiful tribute to our togetherness, and it seems fitting to honor the hoe a second time around. July 13, 2015. 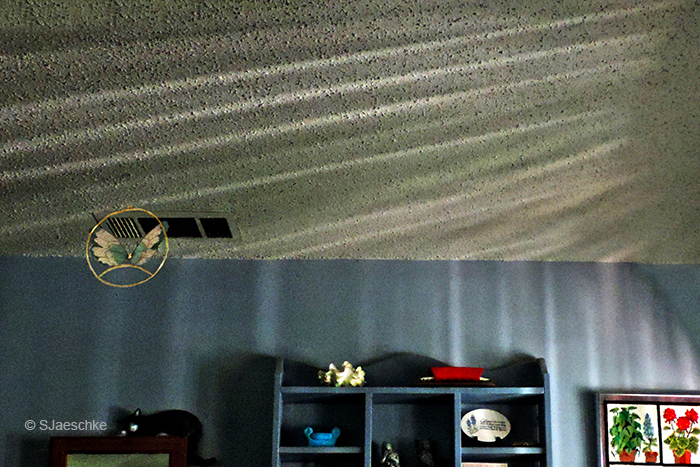 Even though I am retired, my daily patterns fluctuate with those of my employed partner – a high school teacher. 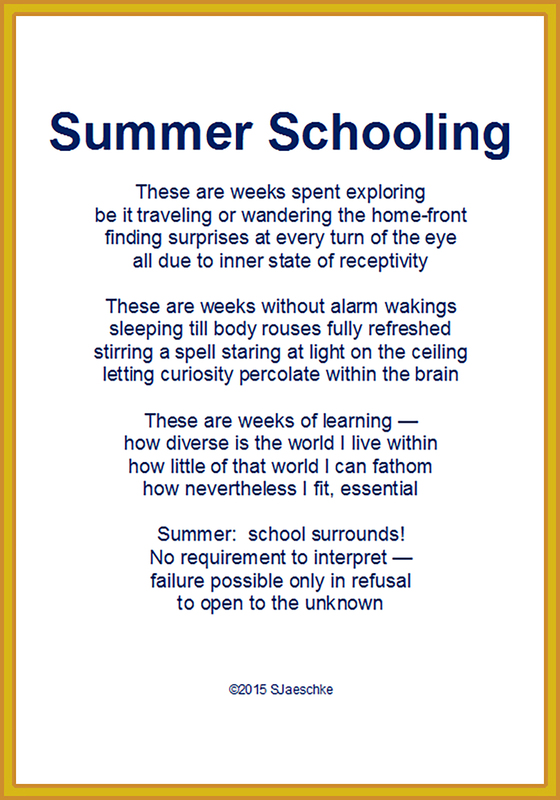 Student perspectives on summer freedom are amplified big time by teachers! And I echo them, noting each summer the subtle and not-so-subtle shifts in both outer and inner landscapes – his and mine. Stress drops, and amazing pleasures seem to turn up – as though they’d been waiting for us to notice. I attribute my increased alertness to leisurely waking after sunlight creeps into the bedroom: the best of summer’s gifts! July 9, 2015. I’m taking an online photography class (led by photographer Jan Phillips – an offering through SpiritualityAndPractice.com). Yesterday’s practice was to notice and photograph “signs” that suggest how to live. 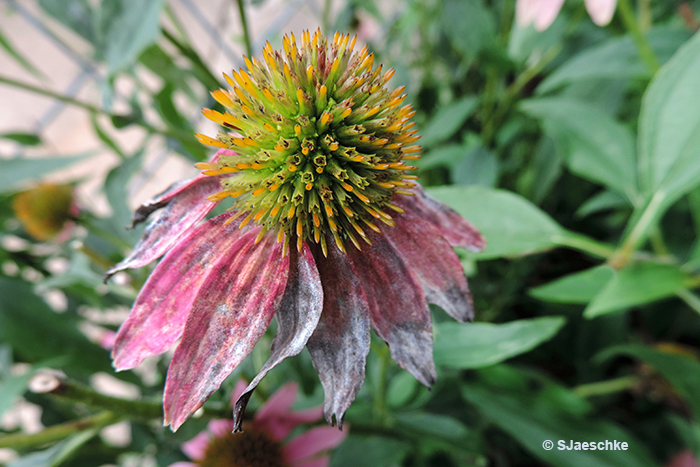 A few hours after reading the assignment, I was in the front yard dead-heading the coneflower patch, mindful mostly of snipping just above leaf junctions. The intent behind dead-heading is to promote new blooms. But I stopped abruptly when my eyes landed on one flower. I ran for the camera. My “sign” was left to expire in her own due grace and time … and she lives on through the image below. July 7, 2015. Last week in the Davis Mountains of West Texas, my eyes were drawn to the brilliance of lowering sun rays “caught” in plants along the campground edge. Closer to them, I found a very determined beetle hanging on as the wind whipped his chosen stem in all directions. 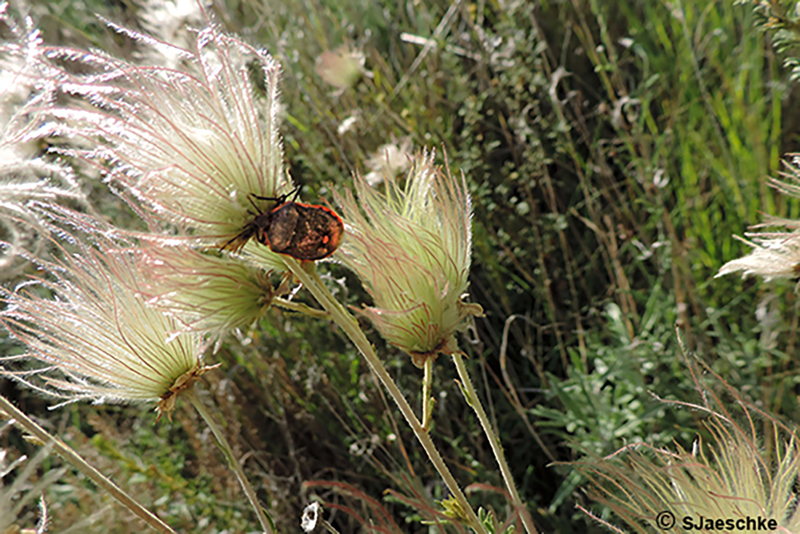 These were a mass of Apache Plume seed strands, the petals of the flowers already gone. The beetle looked to be enjoying his wild ride! 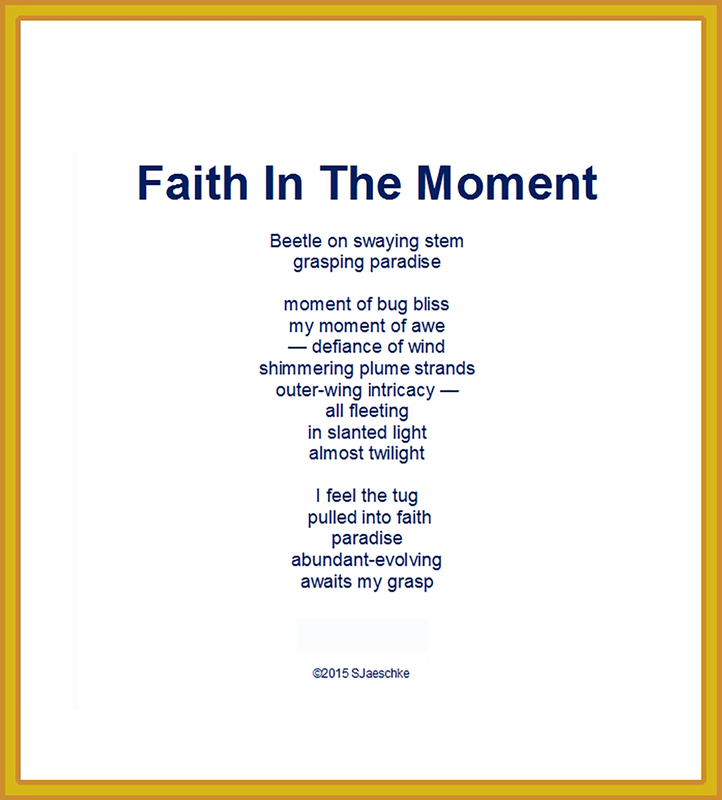 I stood and watched, envying the beetle, then realized I was standing in the middle of paradise myself. I grew up in West Texas, only a couple of hours from these mountains. As a child, I paid little attention to plants but might have rudely plucked the beetle for a temporary pet. Not now!